Take two of the hottest themes in the market, electric vehicles and new iPhones, and both lead you to a Korean tech company: Samsung SDI . The $11 billion company, 20% owned by Samsung Electronics , makes most of its revenue from batteries, yet the biggest profit driver in the next few years will come from something else, smartphone screens. The company has a 15% stake in Samsung Display, which makes screens for smartphones and televisions. Samsung Electronics owns the remaining 85%. The Wall Street Journal’s Heard on the Street writers are highlighting securities that they see as either undervalued or overpriced. Apple is widely expected to unveil three iPhones next Tuesday, with the priciest one featuring an edge-to-edge screen using a technology called organic light-emitting diodes. Samsung owns nearly the whole mobile OLED market, which means it will almost certainly be the sole supplier to Apple. OLED screens give sharper images and use less power. Their curved edges allow bigger screen sizes without making the phones bulkier. 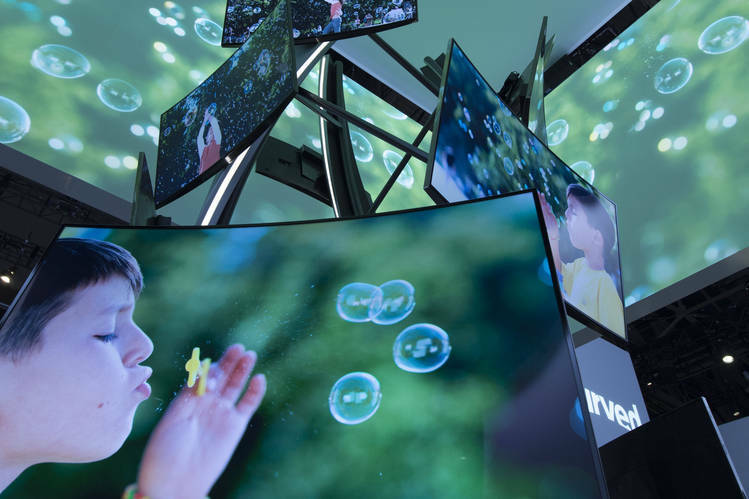 SDI’s stake in Samsung Display gives investors a way to benefit from rising demand for the screens. Samsung Display contributed around $200 million to SDI’s profits last quarter, similar to what its contribution was for all of 2016. While many top-end Android smartphones, for example Samsung’s latest flagship Galaxy S8, already sport OLED screens, Apple’s joining the fray would make that more of a “must-have” for future phones. Brokerage firm Bernstein forecasts $1.5 billion in income contribution from the display unit for SDI next year, six times last year’s level. While there is looming competition, Goldman Sachs expects that 80% of Apple’s OLED screens will still come from Samsung in 2019, even if all iPhones produced beginning next year are using the technology. Apart from its stake in Samsung Display, SDI also supplies materials for making OLED screens. The bigger worry for investors is SDI’s core battery business—it barely made any profit last quarter. But things are looking up, even there. Smartphone batteries started making profits again last quarter after losses caused by last year’s recall of Galaxy Note 7 smartphones. The car-battery business may continue to lose money, but strong sales of electric vehicles in Europe could give a surprising lift. The BMW i3, of which SDI is a supplier, is selling well. SDI also supplies to Volkswagen ’s new e-Golf. That could help SDI to erase its pains in China, where the government denied certifications for its batteries last year. The protectionist move means electric cars in China that use SDI’s batteries may not be eligible for government subsidies. Another potential boost: Tesla’s 100-megawatt energy-storage system in Australia will use SDI’s battery cells. SDI’s stock has doubled since last fall, when it was burned by the Note 7 debacle but has only just reached its 2013 peak. Despite the rally, the stock trades at 15 times forward earnings—lower than the five-year average of 19, according to S&P Global Market Intelligence. That looks like a bargain to buy into not one, but two, of the market’s biggest trends.